Everyone Loves You Back is a coming-of-middle-age novel that explores the comedy and tragedy that occur when two competing classes collide. It’s set in Cambridge, Massachusetts, during the 90s boom years, when a tsunami of new money is pouring into the city and uprooting the middle and lower-middle class natives. Bob Boland, a Cambridge native, jazz aficionado, and sarcastic radio engineer, is holding on, just barely. He has enough on his plate trying to navigate his forties, a rapidly changing job market, and a love triangle, without his neighborhood being overrun by treehuggers, intellectuals, and hedge fund managers. There is no way he can keep up with these new neighbors, who clad their houses in copper, line their driveways in brick and cobblestone, and landscape their postage-stamp-sized yards into tiny urban Edens. One morning, his neighbor Abigail, a dean at Harvard, shows up at Bob’s door, personal arborist in tow, and informs him that his Norway maples are “phytotoxic” weeds that are killing her specimen trees, and asks him politely but firmly to take them down. Bob decides to fight, and sets himself on a collision course with his Cambridge neighborhood and his own preconceptions about how he does and does not fit into it. Louie Cronin, author of the novel Everyone Loves You Back, is a writer, radio producer, and audio engineer. 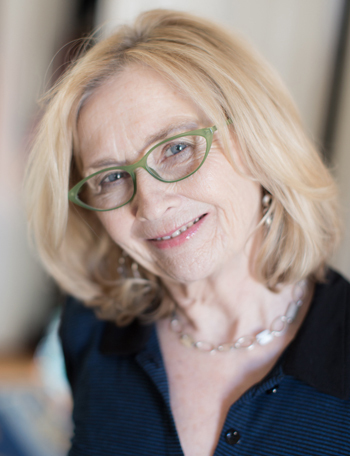 For ten years she worked as a producer/writer for Car Talk on NPR. A graduate of Boston University’s Master's program in Creative Writing and a past winner of the Ivan Gold Fiction Fellowship from the Writers’ Room of Boston, Louie’s fiction and essays have been published in Compass Rose, The Princeton Arts Review, Long Island Newsday, The Boston Globe Magazine, and on PRI.org. Her short stories have been finalists for both Glimmer Train and New Millennium Writings awards. Louie has been awarded residencies at the Ragdale Foundation, the Virginia Center for the Arts, and the Vermont Studio Center. Currently she works as a technical director for PRI’s The World and lives in Boston with her husband, the sculptor James Wright. November 30, 2016 (3-4 pm) — WBUR's Radio Boston — Debut author interview. September 14, 2016 — Mr. Media Podcast — Everyone Loves You Back, Too! A very funny, very smart book, this one has it all: Cambridge wackos, toxic trees, and characters you fall in love with. Here I thought Cronin was just goofing off all these years, but she’s been busy writing this very cool book. Permit me to rave. Everyone Loves You Back is that hard-to-find, A-plus novel, with its utterly sympathetic, believable characters—so smart and wry and so beautifully observed that I kept saying to myself, “Wish I could do that.” I loved everything about this wonderful book. What a terrific book! I laughed out loud to see the world through Bob Boland’s eyes. With keen humor and an insider’s perspicacity, Louie Cronin captures Cambridge, Massachusetts, both as it was and as it has become. Everyone Loves You Back is an authentic and hilarious portrait of a neighborhood in transition, from a hugely talented and wonderfully comic writer. In Everyone Loves You Back Louie Cronin has written a wonderfully witty and inventive novel about the struggles of an embattled radio engineer to fight off squirrels, find love and protect a tree. Cronin portrays with equal vividness the ups and downs of radio and of gentrification. I couldn’t stop turning the pages of this sparkling debut. Everyone Loves You Back features everything I could ever want in a novel: Angst-y radio personalities, a bumbling love triangle, a fight with encroaching hipsters, and a New England sensibility. The writing is top notch. Cronin’s passion for storytelling and bubbly optimism is infectious, and translates to every page of her fun debut novel. 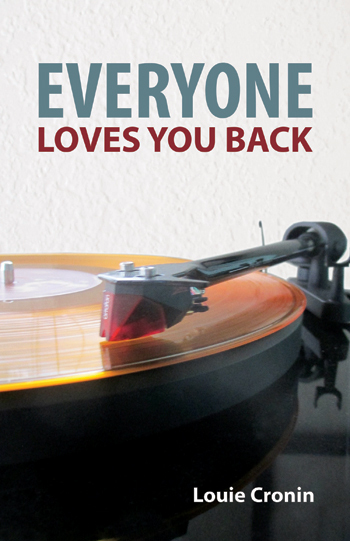 Everyone Loves You Back is sarcastic, warm, earthy, and real… a breath of fresh air in the literary market.